Today we completed a conversion on an Orbea Carpe, though this is no ordinary machine. Unlike the one we featured last week, this Carpe now runs a 1000Watt rear-drive conversion paired with our SAMSUNG 48 Volt, 10 Amp Hour Battery to provide outstanding acceleration and cruising speed. With this much power, it’s only fitting that we call this one the Super Carpe. This one was set up for Edward who was looking for an all purpose bike for both commuting and recreation. The Carpe is more than up to that task with a robust yet lightweight alloy frame and Shimano Hydraulic disc brakes for braking confidence in all conditions. 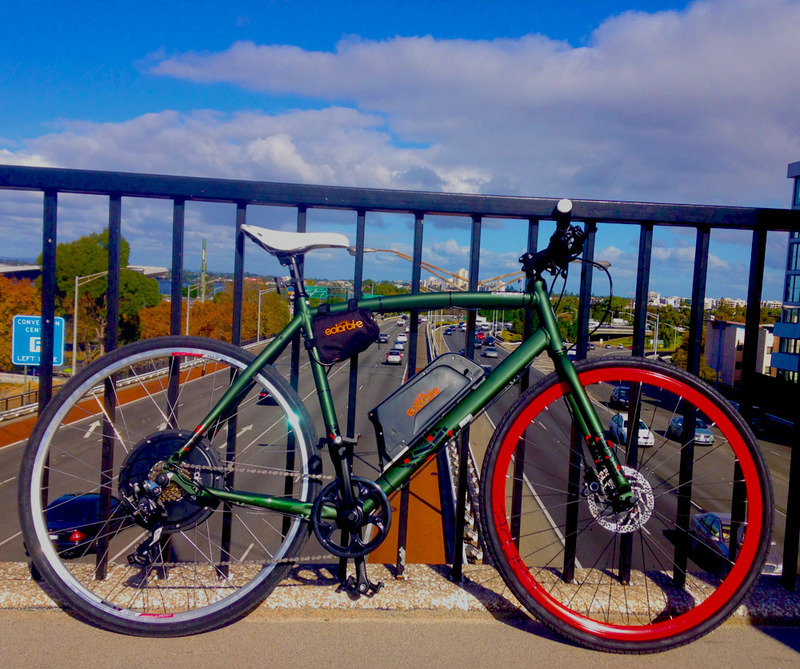 In addition to the myriad of benefits associated with bike transport as an alternative to cars, we think you’ll agree that it affords a much nicer view of the freeway.